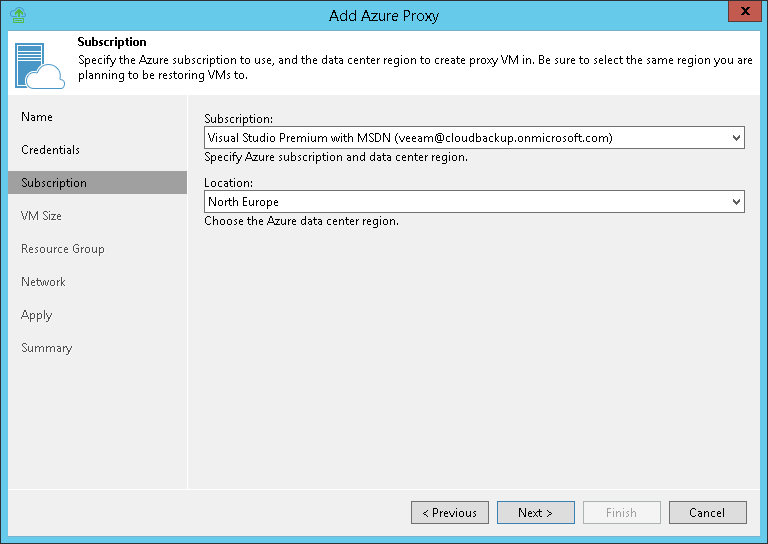 At the Subscription step of the wizard, select a subscription and location for the Azure proxy. From the Subscription list, select a subscription whose resources you want to use to deploy the Azure proxy. The subscription list contains all subscriptions associated with the user accounts that you have added to Veeam Backup & Replication.